Which Way Are You Breathing In Footwork On The Reformer? "I breathe in when I push out and I exhale on the way in." Great. This breathing pattern will help you control the carriage on the way in, and by cueing to inhale into the back ribs you can melt your rib cage onto the carriage, hence helping keep the front ribs together and the abdominals engaged without losing the neutral spine position. "I breathe out when I push out and I inhale on the return." That’s also great. In this case, you can focus on melting the ribs down when you push out. On the inhalation your spine will automatically want to arch, helping your pelvis stay neutral by encouraging the hip to fold into flexion. What do you think? Did you make any other observations? 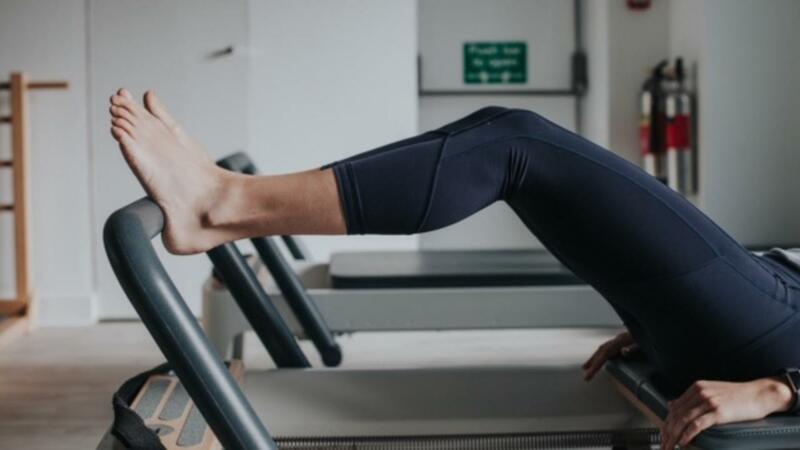 Sign Up For Weekly Pilates Inspiration! Enter your name and email address to receive all the latest news and updates from Pilates Encyclopedia. I would like to receive communication by email. I understand I can opt-out at any time and I rest assured my email address will never be shared.